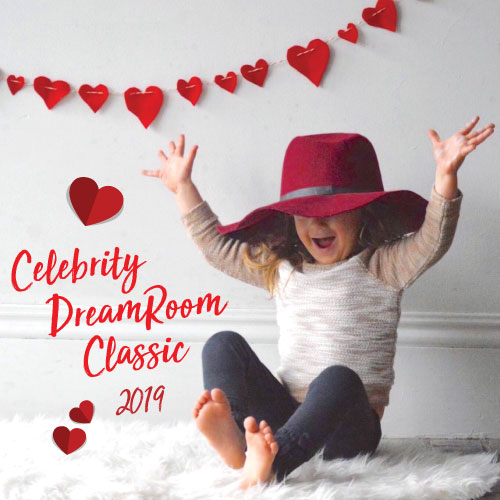 Join us for a golden evening of style, color and comfort to benefit Child & Family Services of Northwestern Michigan at the 2019 Celebrity DreamRoom Classic on February 8th, 2019! Six local celebrities compete to create the room of their dreams in partnership with a Golden-Fowler designer, all for a wonderful cause! Anything goes and when the rooms are complete, the public is invited into Golden-Fowler’s beautiful showroom to vote for your favorite room and enjoy an evening of festive holiday-of-love fun. Attendees visit each “DreamRoom” and cast votes for their favorite room (or rooms). Votes are $1 each – vote early and often! The celebrity with the most votes at the end of the night wins! 100% of the proceeds benefit Child & Family Services/Third Level. Make it a date night! Bring your sweetie for some pre-Valentine’s Day fun and enjoy delicious food, beer and wine, live music, door prizes, a GIANT silent auction and much more. During the 2018 event, we hosted over 400 guests and raised over $40,000 — and we’re hoping 2019 will be even bigger! TICKETS WILL ALSO BE AVAILABLE FOR PURCHASE AT THE DOOR ON THE NIGHT OF THE EVENT!